Today I have a layout to share with you using the Sunny Days collection and the September Exclusive items from Elle's Studio. I was inspired by the dining items in the September release to make a page about some Star Wars food items we had in Disneyland. I love being challenged to create pages about subjects I normally wouldn't scrap! 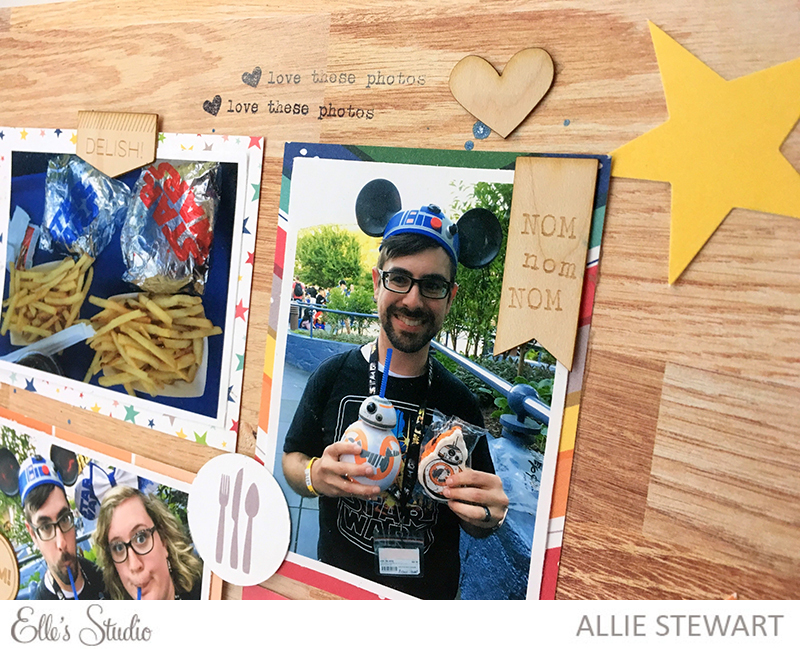 I backed each of my photos with a journaling card from the September Exclusive kit. I arranged them in a grid design and used a part of the Sunny Days cut apart paper to complete the square. 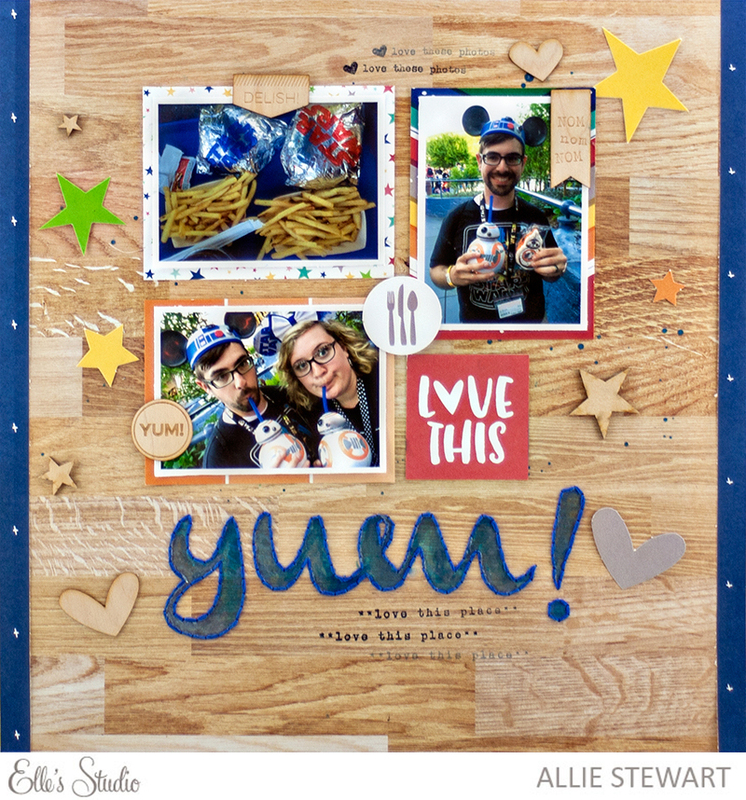 I added the Foodie wood veneers and some die cuts from the September kit! The title was created with my Sillhouette Cameo. 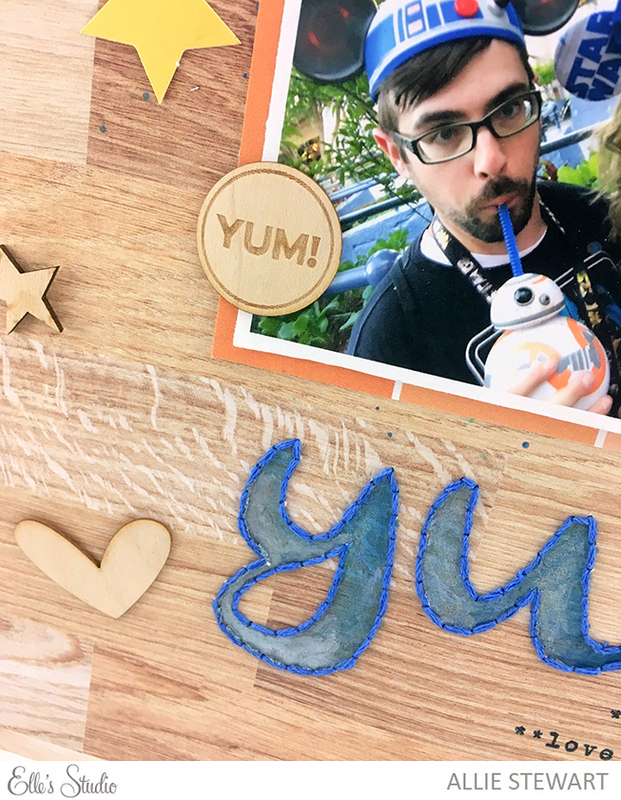 I cut out the word "Yum! ", traced it onto the paper, and stitched around it. I used watercolor to fill in the letters. Finally, I finished off with the Right Now Stamp! 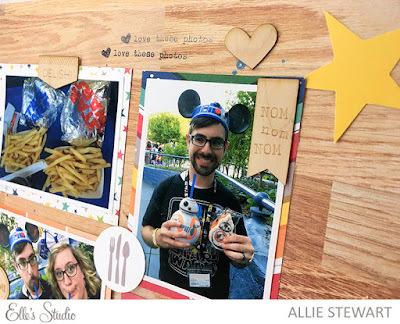 I had so much fun creating this layout, and enjoyed scrapbooking about a new topic. I always find so much inspiration in the monthly kits! Thank you for joining me today!